Description: This hinoki cutting board is the best way to keep knives sharp longer. Hinoki boards are used throughout Japan. Hinoki is a cypress that is native to Japn. Its wood and oil are known for their ability to kill bacteria, viruses and fungus. It is also prized for its longevity under the wettest conditions. These properties add to its desirability for use in a kitchen. The unusually straight grain structure of the wood makes for the perfect surface for the sharpest knives. 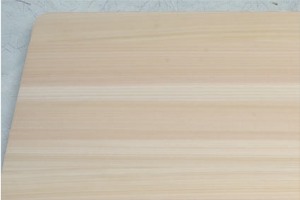 The medium-soft nature of hinoki wood provides a self-healing cutting surface that helps hide scratches. 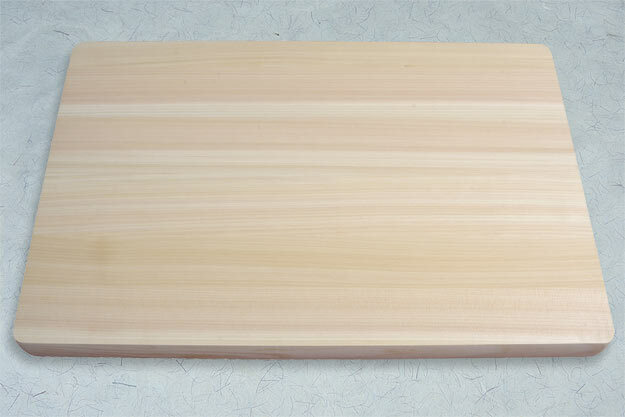 This board is a perfect size for preparing full meals to snacks. 0.234375 0.140625 234.375 140.625 Trailer Completed.